When Ratko Mladic was arrested in May the phrase “just a small piece and you are there” (jedan Komadic i tamo ste) was born – a word play with the name under which he was hiding – Komadic in Serbian means a particle. Following Wednesday’s (October 12) report, published by the European Commission, Serbia did add a small piece on its EU integration path and Mladic’s arrest also contributed to this fact. 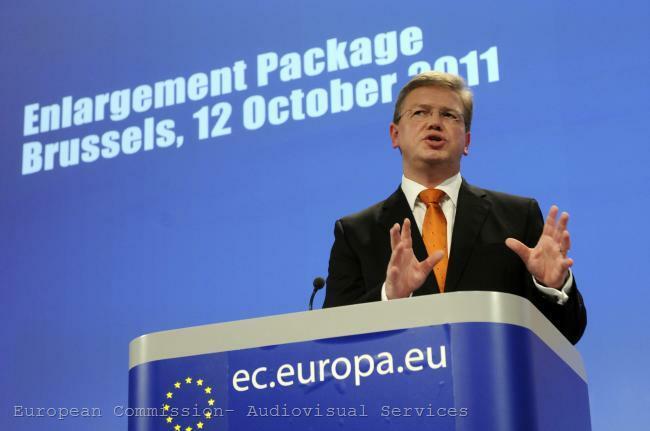 Almost two years after the country applied for membership, on Wednesday EU Enlargement Commissioner Stefan Fule said that Serbia was ready to get an official candidate status. 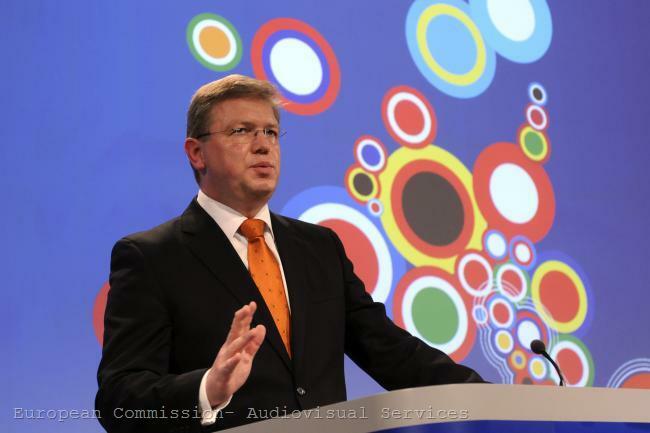 However, as expected, in its progress report the Commission did not mention a date when the negotiations could start. The missing particle in this case turned to be the lack of a dialogue between Belgrade and Pristina. “The Commission recommends the Council to grant Serbia a candidate status, taking into account the achieved progress so far and with the understanding that Serbia will commit itself again to the dialogue with Kosovo and will apply in practise all the agreements achieved in this direction so far”, the report reads. According to the document, the Commission will recommend the negotiations talks to be opened once the country shows a significant progress in normalising relations with Kosovo. That includes solving the issues in the fields of telecommunications, energy, diplomacy and Kosovo’s representation in key regional events. The Commission will present a report on Serbia's implementation of the above key priorities as soon as sufficient progress is achieved, the report added. 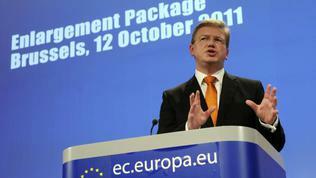 The opposition in Serbia, expectedly, defined the Commission’s recommendation as “another act of blackmail”. Commenting on the report just a few days before it was published, Belgrade-based Vreme weekly described the problem quite precisely, defining it as “Kosovo is not the only issue”. “It is not only the situation in Kosovo that hampers Serbia’s EU path, but also the fact that the enlargement process has come to a point when it is over-saturated. Europe, shaken by the crisis, is afraid that it could not bear the problems that the accession of some unstable countries, with unsolved issues, could bring,” Vreme writes. And indeed the report on Kosovo admits that the local authorities should also put efforts in order to resolve the problems in the northern part of the former Serbian province. “While the integration of the Kosovo Serbs has improved in the South, tensions in Northern Kosovo have increased. 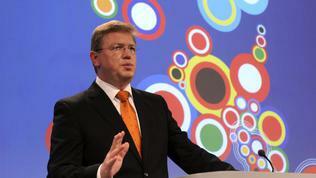 It is of utmost importance that Kosovo launches a comprehensive agenda for the north,” Fule said. According to him, the new institutions are committed to Kosovo's European perspective and have produced some initial reforms, but organised crime and corruption remain major challenges and the Commission proposes to launch a structured dialogue with Kosovo on the rule of law to address these challenges. Сега попаднах на тази статия за Сърбия. Не е точно така, че Сърбия е получала (Got) статут "кандидат". ЕКомисия само го препоръча този статут тогава. Сърбия се надява да получи статута "кандидат", какъвто имат Македония, Черна Гора, Исландия и Турция, през март 2012 г. Но това пак зависи от състоянието на преговорите и изчистване на проблемите с Косово.